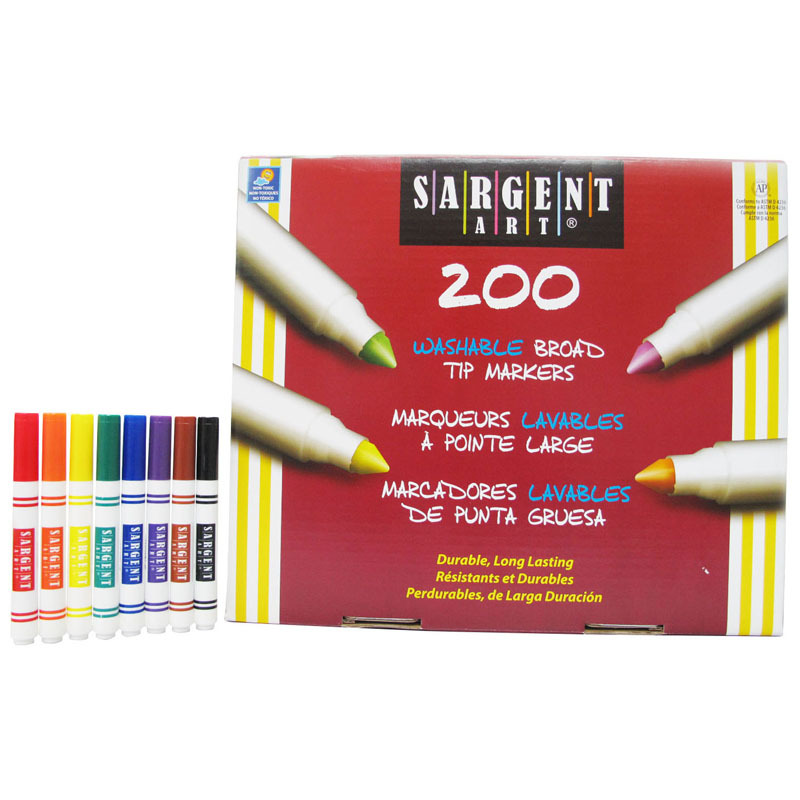 The Markers Best Buy Assort 8 Colorsbroad Tip 200/markers can be found in our Markers product category within the Arts & Crafts. 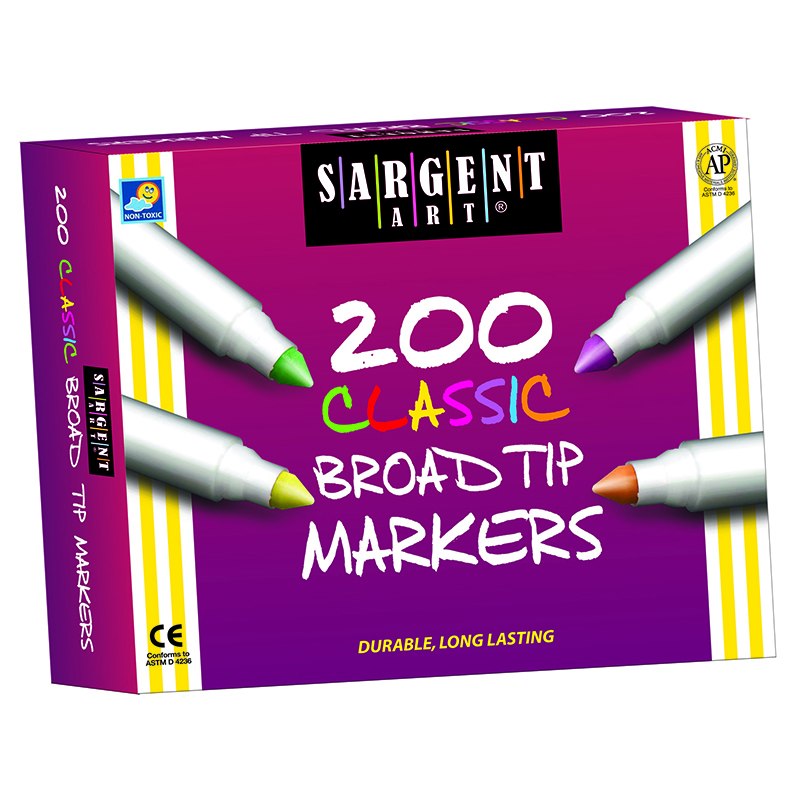 Sargent art broad tip washable marker classpack is a real value for the dollar. 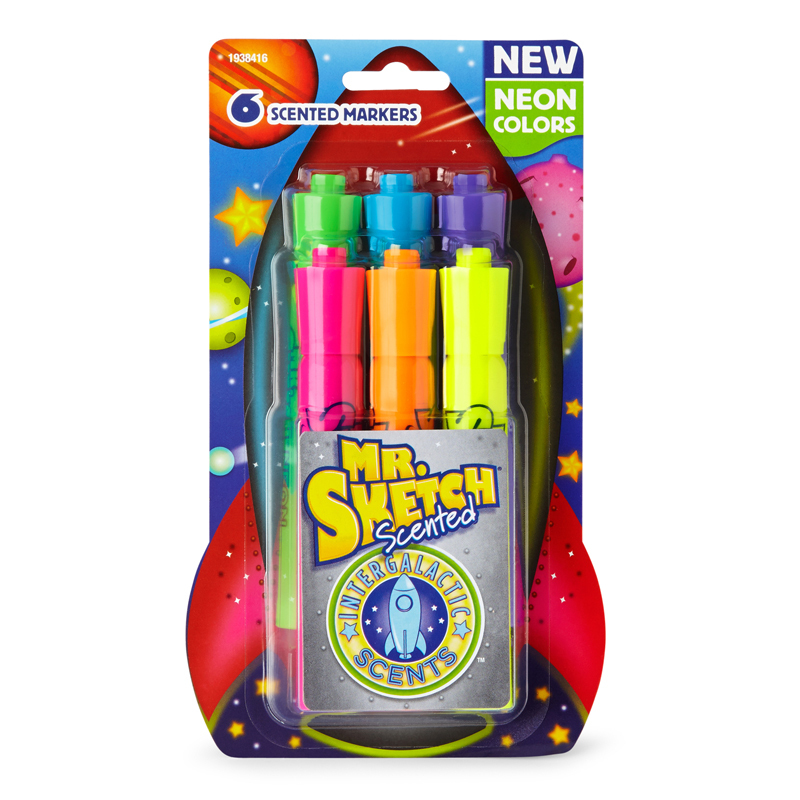 Includes 25-each of 8 different colors. 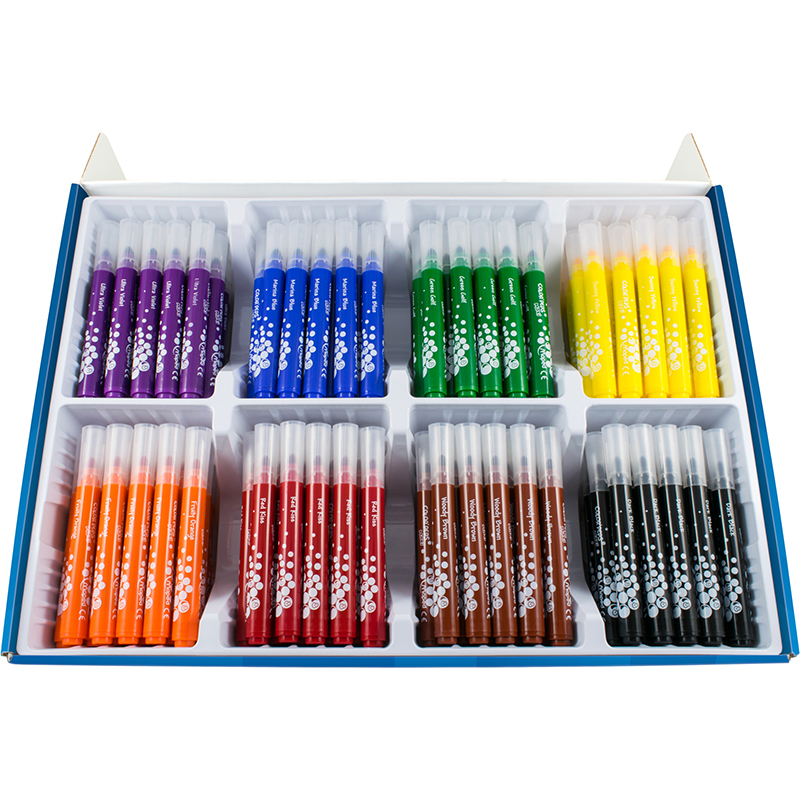 red, orange, yellow, green, blue, violet, brown and black. 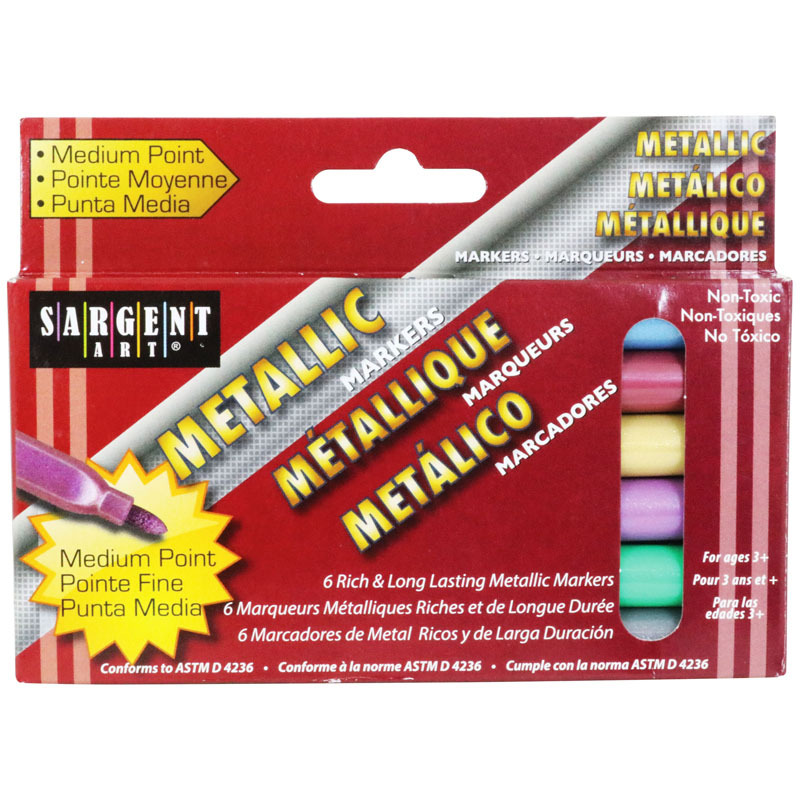 - 6 Rich & long lasting metallic washable markers with medium tips.- Dries fast on dark or lighter surfaces without offensive odors.- Washes From most fabrics and skin with soap and water.- Peggable package. 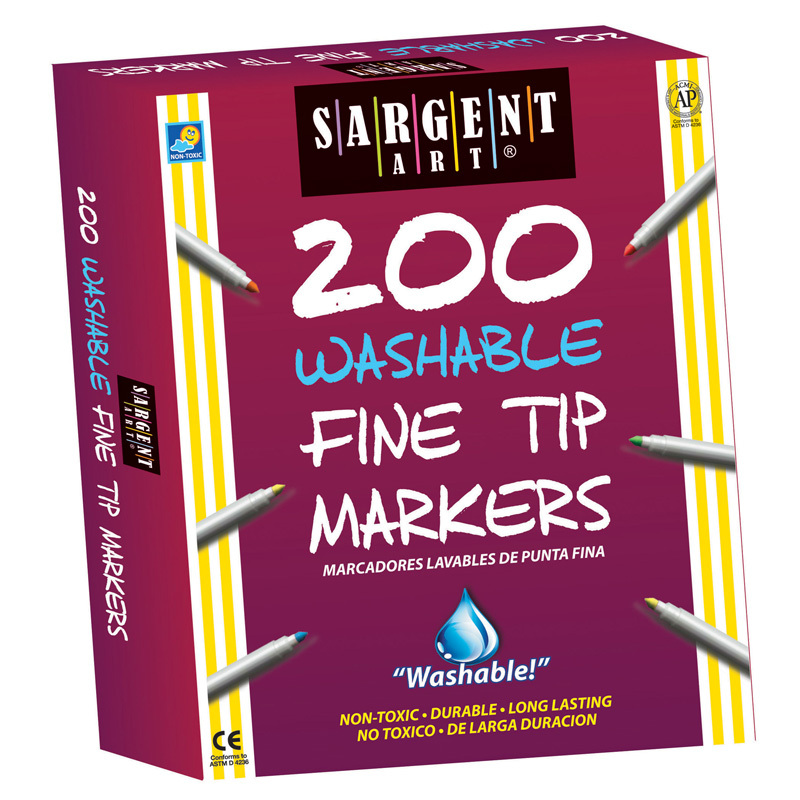 Safe & non toxic.